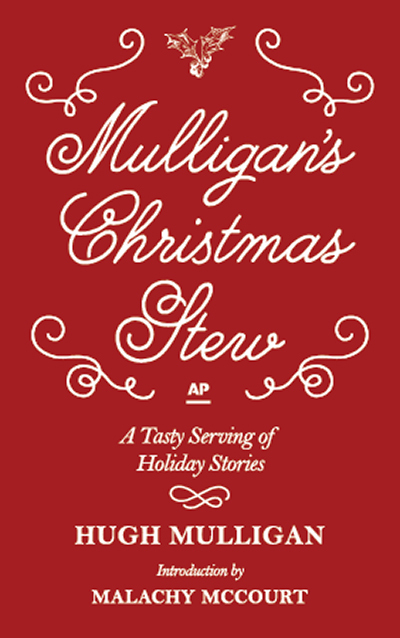 For over 30 years, AP Special Correspondent Hugh Mulligan's Christmas columns captured the true meaning of holiday spirit. Here, he shares the back story behind Ebenezer Scrooge and Tiny Tim. 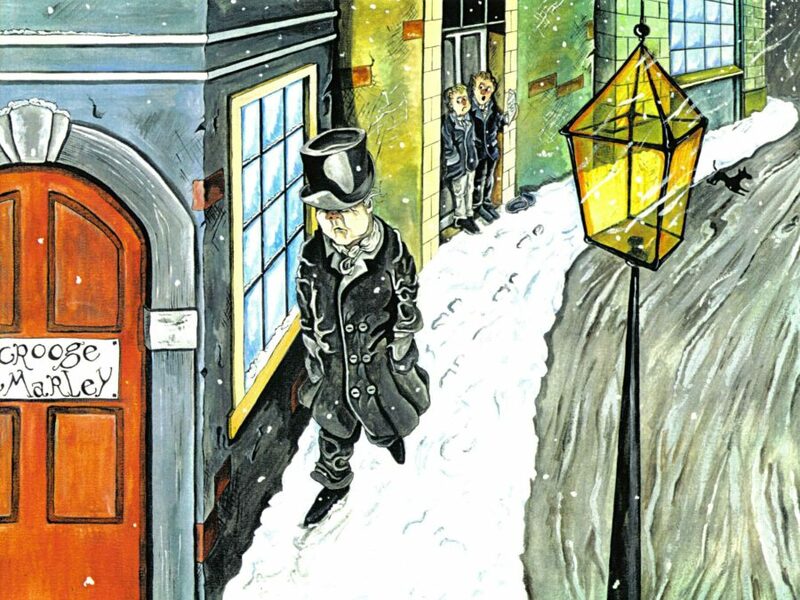 Shadows of a grim childhood, ghosts past and present, haunted Charles Dickens as he penned his immortal “A Christmas Carol.” Here’s the heartwarming, human story behind one of the world’s best-loved Christmas tales, and the strange kinship of Scrooge, Tiny Tim, Bob Cratchit and Nephew Fred to Dickens himself. What would Christmas be without “A Christmas Carol”? In the 114 years since it was written, Charles Dickens’ magic tale of Ebenezer Scrooge and Tiny Tim has firmly established itself as part of the festive tradition. Here’s how it all came about. On Christmas morning 1843, in a rundown factory district of London, a window suddenly flew up in the second floor flat of a drab brick building otherwise occupied only by a few scraggy offices and a wine merchant’s cellar. “What’s today?” cried the lone tenant to a small boy in the street below. Ebenezer Scrooge, fiction’s most famous regenerate villain, had come to terms with Christmas and had not missed it after all. At almost the same hour on that very same morning, in a more respectable section of London known as Regent’s Park, an upstairs window flew open in the neat red-bricked dwelling that stood at 1 Devonshire Terrace. A frail, smiling young man, his eyes agleam with “a moist and oystery twinkle,” leaned out to greet the postman. His name was Charles Dickens and he had not missed Christmas either. The morning mail brought the jubilant news that “A Christmas Carol,” the ever delightful chronicle of Scrooge’s ghostly conversion, had sold out all 6,000 copies on its first day of publication and a second and third edition were already on the presses. Like Scrooge reborn, Dickens felt “light as a feather, happy as an angel, merry as a schoolboy, giddy as a drunken man.” At 31, with little formal schooling but with “Pickwick Papers,” “Oliver Twist,” “Nicholas Nickleby,” “Old Curiosity Shop,” and “Barnaby Ridge,” already behind him, he was at the height of his creative powers. And although he didn’t realize it then, this versatile writer, who yearned all his life to be a great actor, had just penned a masterpiece in miniature. On top of that, sales of “Martin Chuzzlewit,” appearing in serialize form, had fallen off drastically, particularly in America, which it satirized. Dickens had feuded fiercely with his publishers over money matters and now feared they might invoke a contract clause allowing them to take back a percentage of his advance. To get back on his feet, Dickens decided to publish “The Carol” as a private venture on a commission basis, risking all the losses in hopes of pocketing most of the profits. The idea for a ghost story about Christmas first occurred to him in a railway carriage en route to Manchester for a speech in mid-October. The plot fascinated him, but the writing did not come easy. The numerous strikeouts, crossovers and margin jottings in the original manuscript, now on display at Harvard’s Fogg Museum on loan from New York’s Morgan Library, indicate he worked harder on this slender volume than any previous work. Day after day, he paced the deep pile carpet, banging his hand nervously against his forehead, acting out each part aloud, grimacing before the ornate gilt mirror to capture the right expression. By the softly flickering light of his hearth fire, Dickens played host to his own ghosts of Christmases past, present and yet to come, intently watching the shadows of his own career march over the walls and across the ceiling in gaunt procession. Haunted by his impoverished past, terrified by his problematic present but optimistic as always about his future, Dickens profusely poured into “The Carol” the humor, the humiliations, the craving, the deep hurts and sudden joys and triumphs of his lifetime. In years to come, when he finally realized his acting ambitions and embarked on his fantastically successful public readings, Dickens was fond of mimicking all the voices, sound all the nuances, savoring all the delights and absurdities of every character in his little Christmas parable. He was Bob Cratchit, the debt-ridden drone who could heroically submerge all his cares to nurse a sick child back to health with delightfully imaginative games and indulgent attentions. He was nephew Fred, the happy party-giver and party-goer, leading the game of 20 Questions, proposing the toasts, laughing lustily at craggy-hearted old Scrooge but suddenly, transfixed by sentiment, feeling very sorry for him. When the ghost of Christmas past leads Scrooge to a forlorn, neglected boy reading bya feeble fire in a dismal attic, that boy is Charles Dickens at 7, playing host to Ali Baby and Robinson Crusoe in the garret of a dingy waterfront tenement, where his family was forced to move as their fortunes sank lower. The musty pawn shop in an obscure part of town, where Scrooge in horror sees the curtains sold from his deathbed and the shirt from his corpse, had been visited years before by young Dickens, who came to sell his own little bed a few chairs when his father went to debtors prison. Even Fezziwig’s gay warehouse party, that precursor of all Christmas parties, may have had its origin in one of the few bright spots in his blighted childhood, the friendly law chambers of Ellis and Blackmore, where Dickens at 15 served as office boy and amused himself by dropping cherry pits out the window on passers-by. But most of all—and some readers may shudder to hear this—Dickens was Ebenezer Scrooge, a “squeezing, wrenching, grasping, scraping, clutching, covetous old sinner.” He drove a hard bargain with his publishers, quibbled over every cent of royalties, ran out on several contracts, fired two artists without warning and was partially responsible for the suicide of another. Like Scrooge, he was capable of the extremes of benevolence and malevolence. A soft touch for panhandlers, especially down-at-the-heels actors, he kept a close eye and a tight hand on family budgets and made scenes over hotel bills. A fond and affectionate father, he was a vain tyrant of a husband who, at 46, ruthlessly left the wife who had given him 10 children to have an affair with an 18-year-old actress. He never saw Kate again and was livid when any of the children went to see her. Gregarious, extroverted, egocentric, childish to the point of absurdity, he had all the actor’s vices and none of the writer’s. He lived for applause, cultivated the crowd, made a fetish of never reading his critics. While Scrooge was being haunted by the ghost of his business partner, Jacob Marley, Dickens was being visited by the ghost of his alter ego, Ebenezer Scrooge. And Scrooge’s Christmas conversion, duly ratified over a bowl of smoking bishop, may have symbolized Dickens’ own resolution to reform. If so, the spell quickly wore off. Within a month, he was at the throat of his publishers again, accusing them of jacking up the tests because “The Carol” did not immediately materialize into the financial success he envisioned from the postman’s report on Christmas morning. It had sold well, but Dickens’ insistence on color plates and a fancy binding, while keeping the price at five shillings, had eaten into his profits. But “The Carol” was—and still is—an immensely popular success, one of those rare, happy, hallowed books that seem destined to pass on from generation to generation of enchanted readers, while successive waves of critics attempt unsuccessfully to pick it apart. HUGH MULLIGAN was born in New York City in 1925. He served in World War II as a rifleman in the Army’s 106th Infantry Division after that unit was decimated in the 1944 Battle of the Bulge. When the war ended, he completed a bachelor of arts degree at Vermont’s new Marlboro College and was the only member of its first graduating class in 1948, addressed at commencement by poet Robert Frost. He later earned graduate degrees in journalism at Boston University and in English literature at Harvard. But for an early stutter, which he overcame, he would have sought ordination of the Roman Catholic priesthood. Instead, Mulligan joined The Associated Press in 1951 in Baton Rouge and after 1956 was based in New York, except for a 1970s stint in London. He retired in 2000. In all, Mulligan visited 146 countries on assignments that included wars in Southeast Asia, the Middle East, Ireland, Cyprus, Angola, and the secessionist Nigerian region of Biafra. He covered President John F. Kennedy’s Cold War visit to the Berlin Wall in 1963 and was there again in 1989 when the wall was torn down. He wrote about space shots and political conventions and was in a blimp overhead when a nuclear submarine flashed its historic message from the North Pole: “Nautilus 90 degrees north.” Among those he interviewed were Marilyn Monroe, Margaret Thatcher, the Shah of Iran, John Glenn, Joe Dimaggio, and a bevy of writers including Brendan Behan, John Steinbeck, and Tennessee Williams. He returned to Ireland with presidents Kennedy and Reagan and went to China and Russia with Richard Nixon, toured with jazz great Louis Armstrong and comedian Bob Hope, carried a spear at the Metropolitan Opera and rode a camel caravan in Oman. Though Mulligan was celebrated most for feature writing, including his column, “Mulligan’s Stew,” he was proudest of his war reporting, especially his four years in Vietnam and Cambodia. 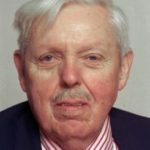 An intellectual without pretense, Mulligan was a voracious reader and diligent researcher who gloried in finding obscure nuggets of fact and history. His home in Ridgefield, Conn., which he named "Hardscribble House," featured a wall-size bookcase with the works of Irish writers. In a 2005 interview about his career, Mulligan said he was "most happy that I never became an expert on anything—I never became a space writer, a science writer, a political writer—not being anything allowed you to cover everything." Former AP President Louis D. Boccardi said of the brilliant raconteur, "He had a love affair with the world, and we of the AP loved him for it. There won't be, there can't be, another Hugh Mulligan." HUGH MULLIGAN was born in New York City in 1925. He served in World War II as a rifleman in the Army’s 106th Infantry Division after that unit was decimated in the 1944 Battle of the Bulge. When the war ended, he completed a bachelor of arts degree at Vermont’s new Marlboro College and was the only member of its first graduating class in 1948, addressed at commencement by poet Robert Frost. He later earned graduate degrees in journalism at Boston University and in English literature at Harvard. But for an early stutter, which he overcame, he would have sought ordination of the Roman Catholic priesthood. Instead, Mulligan joined The Associated Press in 1951 in Baton Rouge and after 1956 was based in New York, except for a 1970s stint in London. He retired in 2000. Among those he interviewed were Marilyn Monroe, Margaret Thatcher, the Shah of Iran, John Glenn, Joe Dimaggio, and a bevy of writers including Brendan Behan, John Steinbeck, and Tennessee Williams. He returned to Ireland with presidents Kennedy and Reagan and went to China and Russia with Richard Nixon, toured with jazz great Louis Armstrong and comedian Bob Hope, carried a spear at the Metropolitan Opera and rode a camel caravan in Oman. Though Mulligan was celebrated most for feature writing, including his column, “Mulligan’s Stew,” he was proudest of his war reporting, especially his four years in Vietnam and Cambodia. An intellectual without pretense, Mulligan was a voracious reader and diligent researcher who gloried in finding obscure nuggets of fact and history. His home in Ridgefield, Conn., which he named “Hardscribble House,” featured a wall-size bookcase with the works of Irish writers.